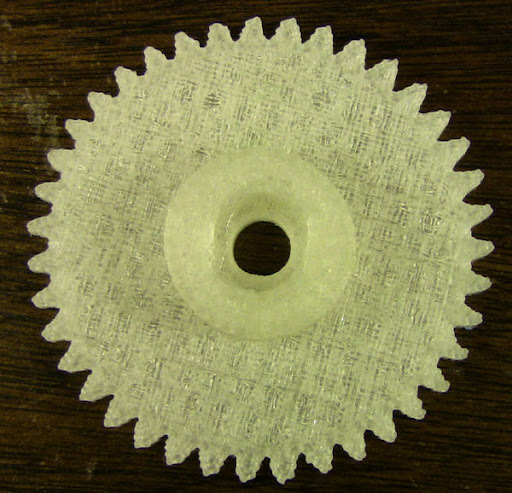 The best way I've found to calibrate a RepRap printer is by printing gears. Any flaws show up immediately. Also, if one of your gears break after several prints some of your bad calibration prints could work enough to print a better gear. 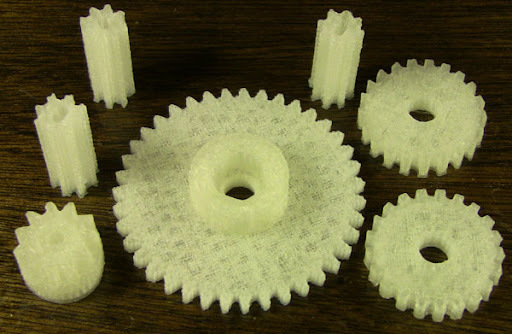 This weekend I was able to print all the Mendel gears, as well as all the Wade extruder gears. Pictures follow. I am satisfied with the quality. Now I am ready to print a full bed of parts.